£14.76 each & FREE Delivery in UK. These fret wire cutters are a high quality large end cutter that has been precision ground by us for use as a fret cutter. 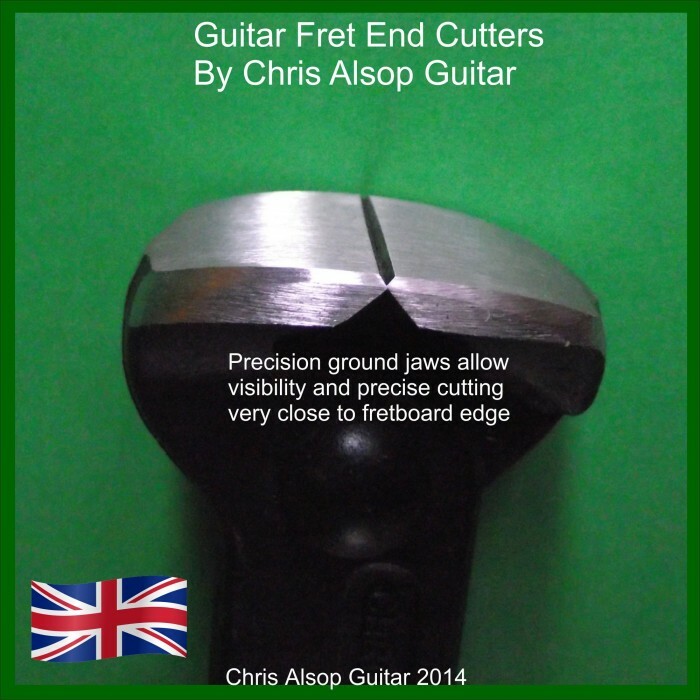 The design of the cutting edge has been optimised for withstanding harder fret materials such as stainless steel as well as the more common nickel alloy. 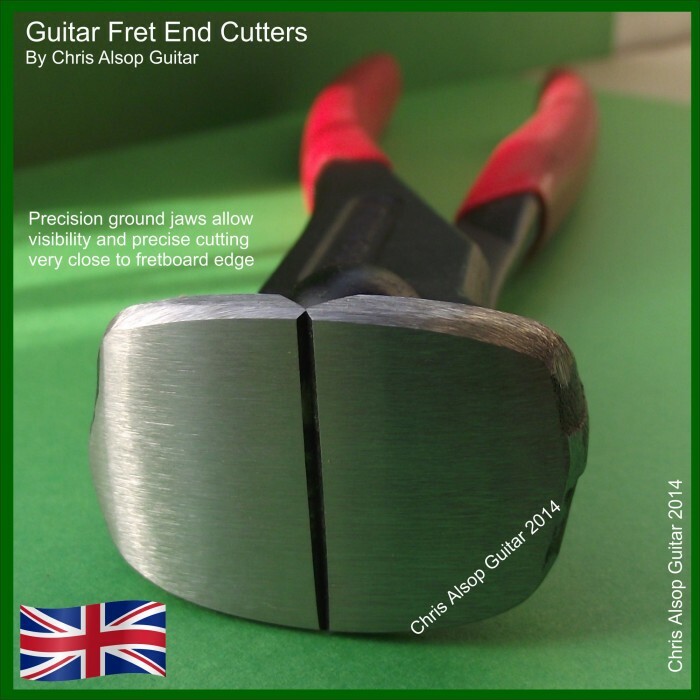 The jaws of these cutters are Chrome Vanadium which is more than adequate material to cut stainless steel frets. The force required is best achieved by taking full advantage of the 8 inch long handles and squeezing the jaws shut at the very ends of the handles. 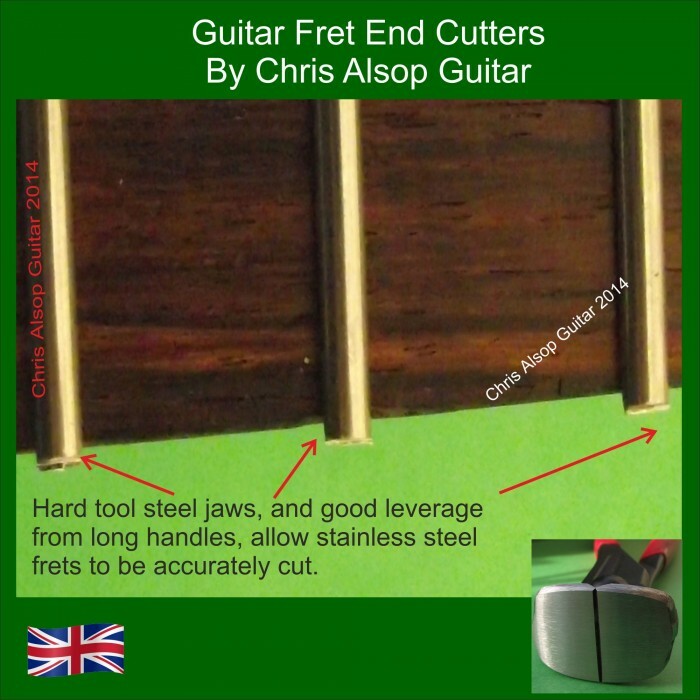 • The cutters to be used very close to the fretboard. This minimises the amount of fret left that has to be filed. • The point at which the cut is going to occur to be visible before committing to the cut. Wide Mallet. 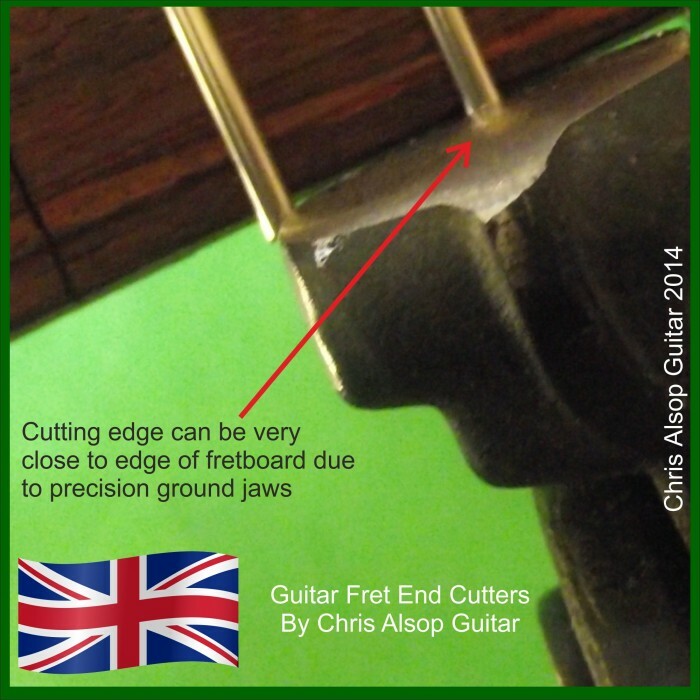 40mm heads for Low Fret Fretwork. Specification This mallet has faces of 40mm di.. Narrow Mallet with 18mm heads. Specification This mallet has faces of 18mm diameter - it..
High Quality Fret Wire for Partial Refret Sizes Available: WIDE width (common on electric guita..